I mean, my budget still doesn’t match my taste, but we’re getting there. And I no longer have any furniture that I assembled myself…on the main floor. And while we’ve got you covered on all things home related with our Not Another Home Show, you’re still going to want to do some shopping. And what better place than Elm & Iron? 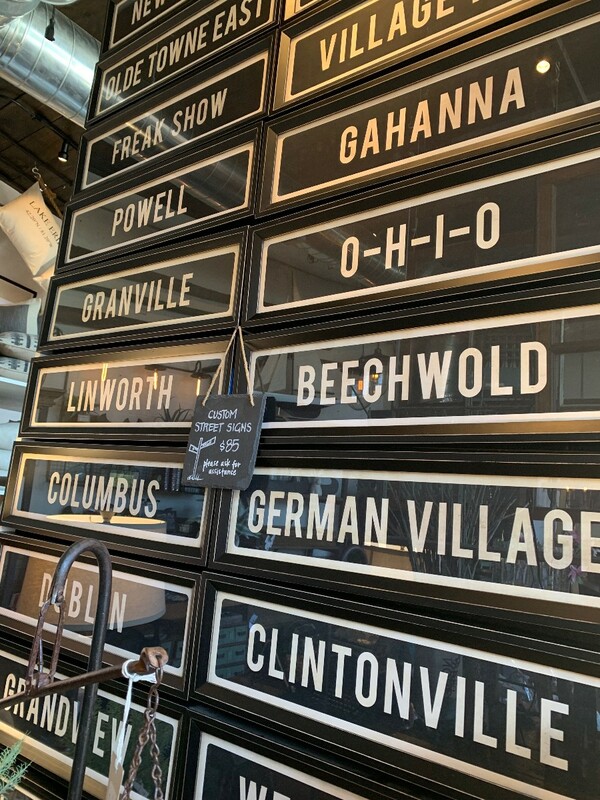 With two locations in Columbus (Easton & Clintonville) and two more in Cincinnati, each store will have unique statement pieces, both large and small. 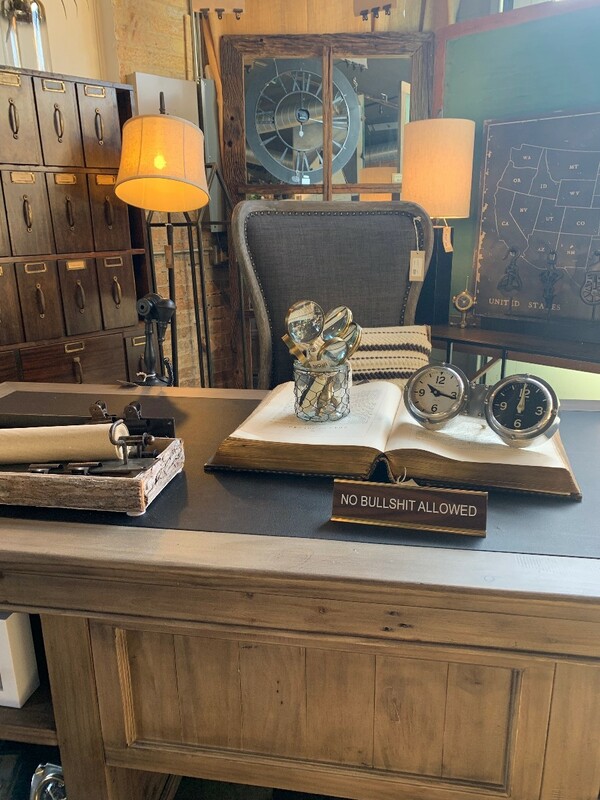 I popped by the Clintonville location to check out the latest inventory. And I didn’t spend (a lot of) money. This is the perfect alternative to the popular “standing desk.” You get the height you need, but none of the weird PVC-looking legs and tabletop. You could also use this in an entryway for keys, gloves, etc. while storing shoes underneath. 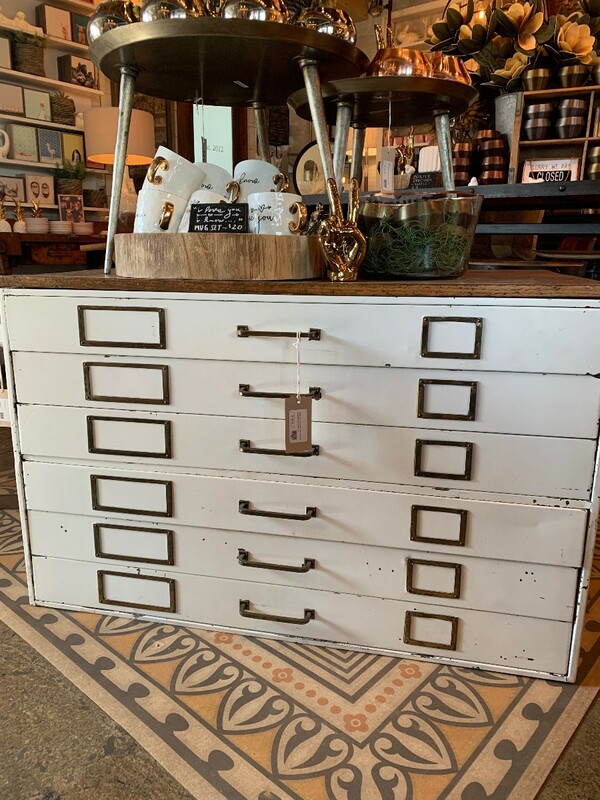 I love the built-in drawer pulls, too, for a classic, unencumbered look. Don’t worry, this isn’t too politically divisive in today’s climate. 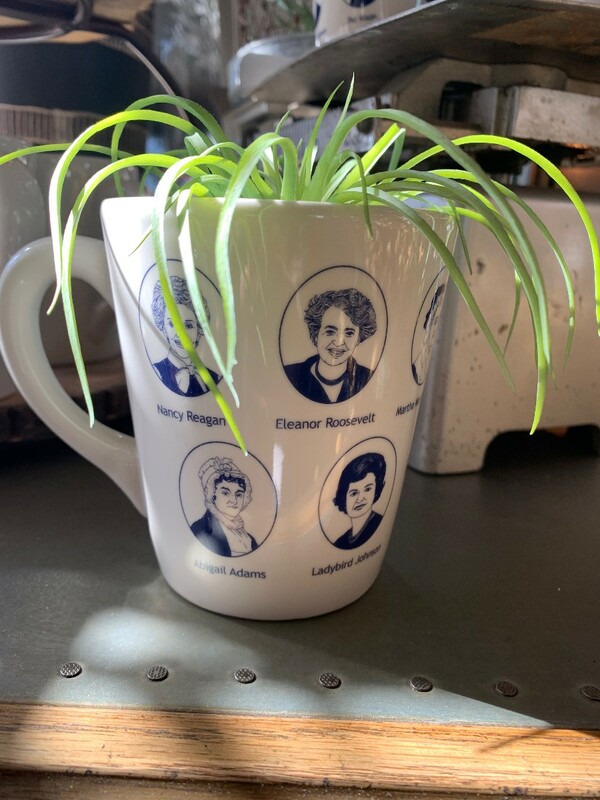 There are no recent first ladies featured on this mug. And sadly, not one of my favorites, Edith Bolling Wilson. It’s cleverly styled as a planter, and that’s how I would use it too. You can’t keep a mug like this confined to the cabinet when in between cups of coffee, a mug like this needs to be seen! This is one of the non-vintage pieces at the store, which I prefer when it comes to anything electrical. Seems safer. 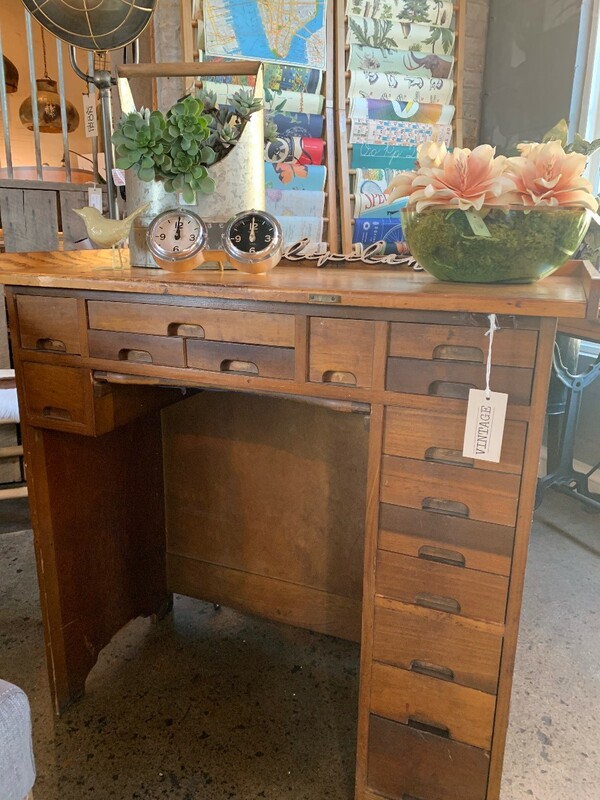 It makes a great statement piece as it’s styled here, over a table, but I also think it would be really cool in a bedroom, centered over the bed. 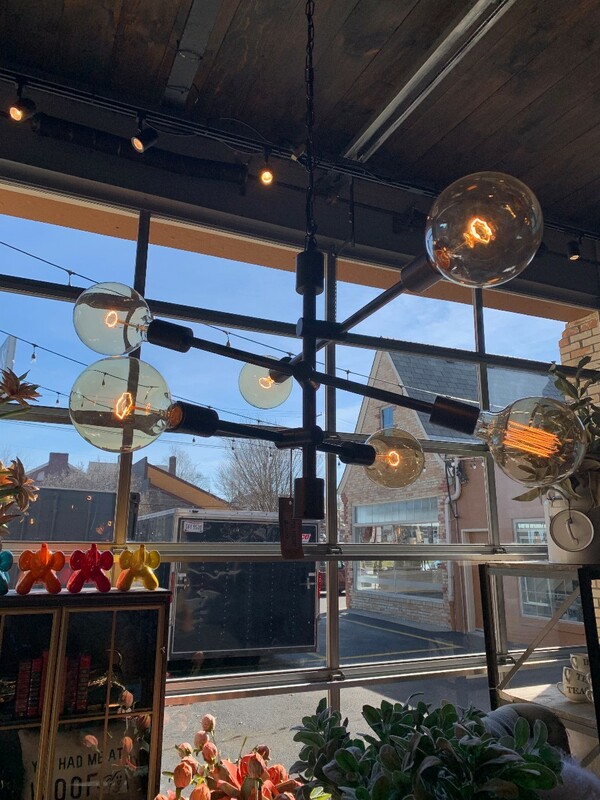 The big draw, of course, is the Edison bulbs, and those can easily be found in an LED version for less heat. Though I know, some like it hot. Yes, please. 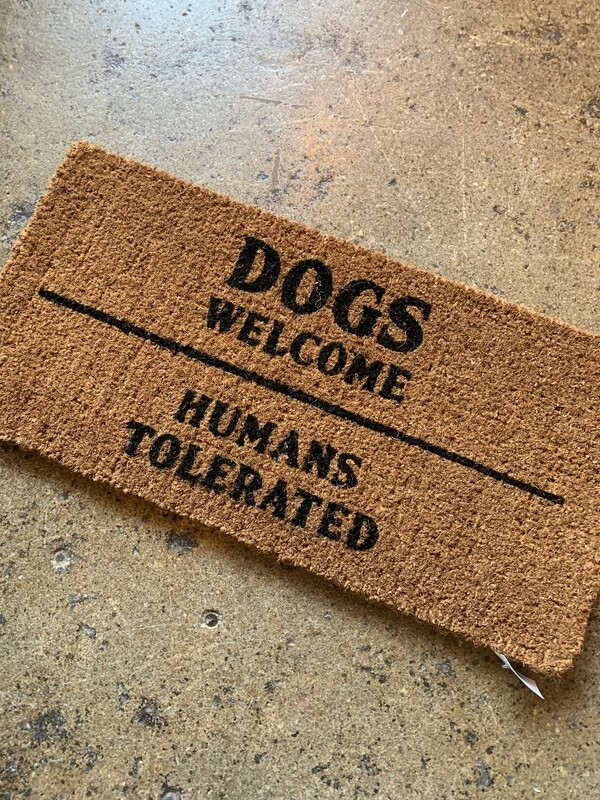 I love a good cheeky doormat (thanks to a gift from a friend, mine says “Hi, I’m Mat”), and this one is no exception. It’s a great price for a statement piece that will let your guests know your priorities. I’m told that the latest trend is to layer a smaller welcome mat, like this one, over top of a larger, patterned, outdoor rug. I’d pair this one over top of some artificial turf. For real! It would be a great way to herald Spring. 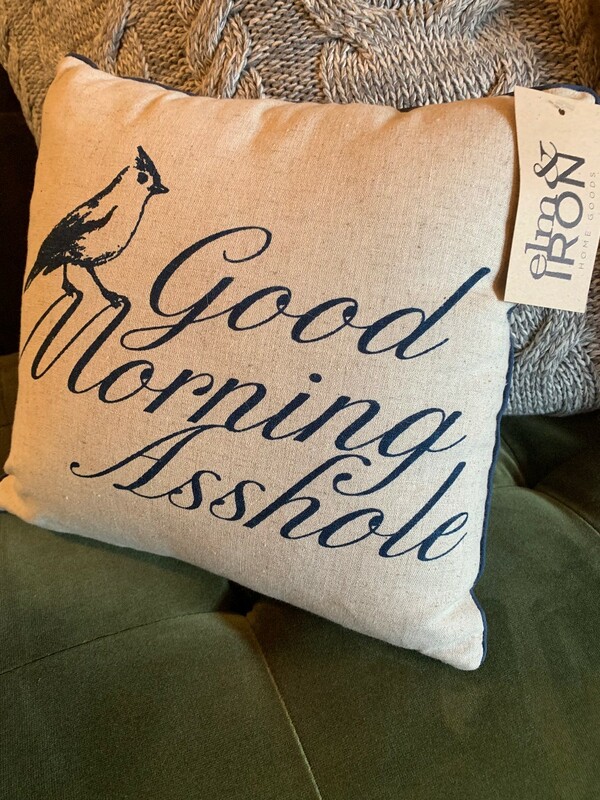 I’m always partial to profanity, but somehow this pillow seems even more charming because of it. And the tasteful font doesn’t hurt. I’m thinking you buy this and layer it with a bunch of other throw pillows on an all-white bed. And you can never have too many throw pillows. Now, if only it were reversible to “Goodnight, shithead” or something. This checks all my boxes. Industrial? Yep. Vintage? You bet! Storage capabilities? Yessir. Home decor needs to serve a purpose over here, in a 1500 sq foot, 5 person household. 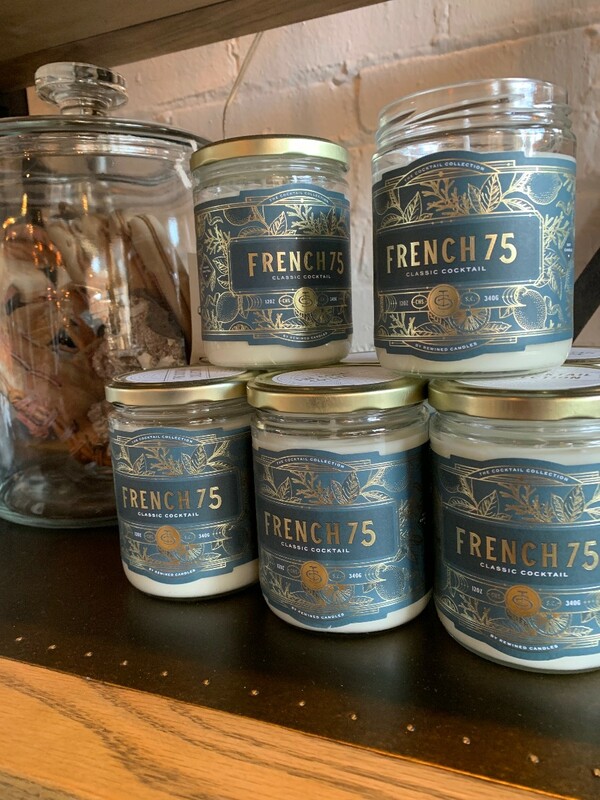 I like the idea of using this as a buffet in the dining room, with extra plates and serving ware stored inside, and of course, all of my booze on top. It would also work really well as art supply storage, while not compromising your aesthetic. Oh. My. Gosh. Look at those letters. I like ’em round, and big…Okay, I’ll stop. But really. 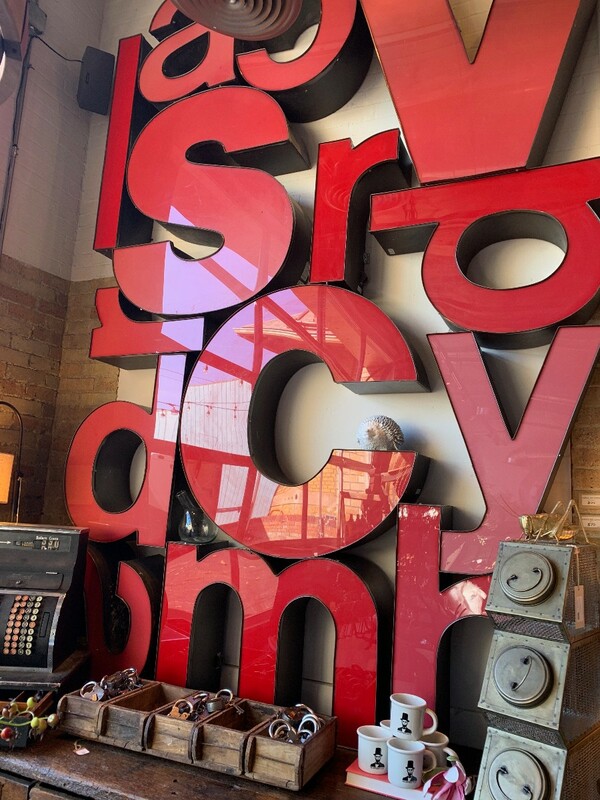 I think the price is unbelievable for these vintage letters, and just wish they’d been able to source every letter. Literally, as I was standing there contemplating buying the “S” (the only letter available that worked for one of my kids), someone called in and paid for it over the phone. Curse them! There are a few other letters not pictured, and this photo doesn’t do their size justice. So if your name starts with an M, Y, or Z, etc, get yourself over there! 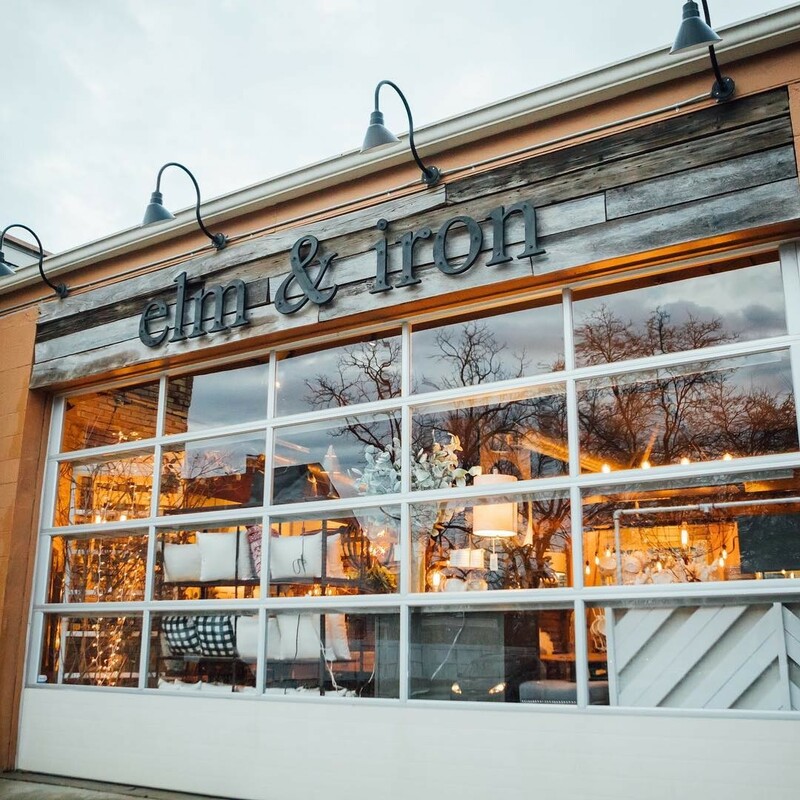 Elm & Iron Clintonville can be found at 3475 N High St and is open Monday-Saturday 10am-6pm, and Sunday 11am-5pm. Other locations are listed on their website HERE. 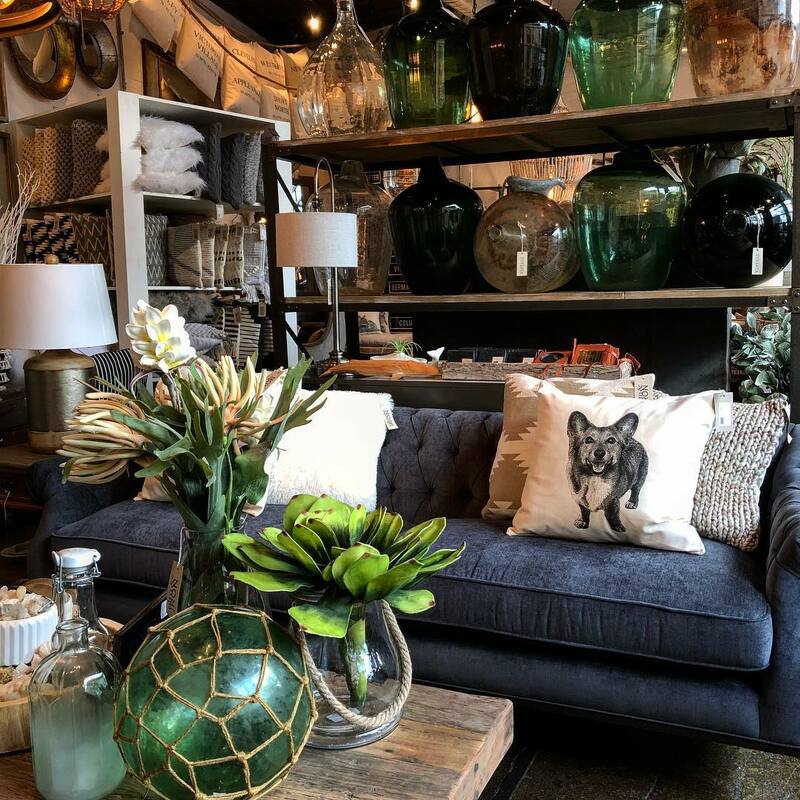 With a combination of vintage pieces and handcrafted original decor, there’s something for everyone. Especially me. My birthday is in June, in case you were wondering.